As membership in the Adventure Travel Trade Association (ATTA) has grown over the years, so has appreciation for the local challenges adventure travel tour operators face in their home markets. ATTA member companies are passionate advocates for environmental conservation, cultural preservation and celebration, and wildlife. 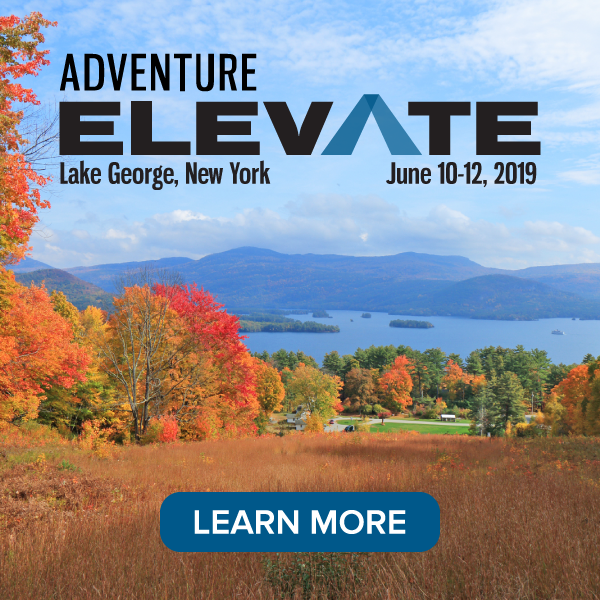 Numerous “best practice” sessions at Adventure Travel World Summit events over the years have highlighted and provided information across a broad range of relevant topics intended to support tour operators working with communities and protect nature and wildlife. Adventure travelers also seek tourism options that are environmentally conscious. According to ATTA’s 2017 Industry Snapshot, tour operators report the top activities in demand by travelers were hiking, ecotourism, cultural, and environmentally sustainable activities. Confirming what adventure tour operators are observing, a recent consumer study of more than 2,200 travelers conducted by Mandala Research reports 63 percent of all travelers say they are “much more likely” to consider destinations where there is a strong effort to conserve and protect natural resources. Travelers expect experiences that are sensitive to local communities, the environment, and wildlife, and it is often the smaller-scale projects in remote and rural destinations that can make a direct impact. Yet, while the official recognition of tourism’s potential to support environmental, wildlife, and cultural goals is a milestone for our industry, funding for projects in these areas remains insufficient. 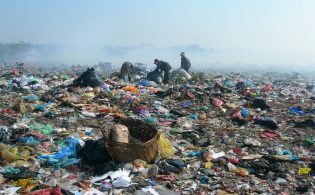 A recent McKinsey study noted environmental-conservation projects need US$300 billion to $400 billion each year to do their work, but receive just $52 billion, mostly from public and philanthropic sources. 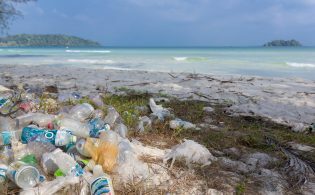 Similarly, The Nature Conservancy’s chief economist Eric Hallstein noted, “The size and scope of our environmental problems — from water quality to deforestation and climate change — is increasing incredibly quickly around the world,” and an estimated $250 billion a year is needed to meet the world’s environmental challenges. The ATTA is pleased to join the impact-investment community, which combines the strength of the growing adventure tourism sector and its deep reliance on these natural and cultural resources with the mission of funding worthwhile projects. 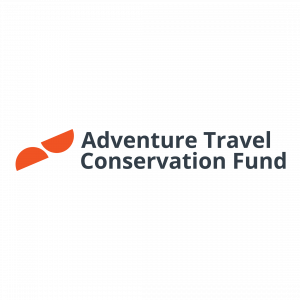 In October of 2016, ATTA, along with four other adventure industry leaders (REI, Uncruise Adventures, ExOfficio, and Eagle Creek), formed the Adventure Travel Conservation Fund (ATCF) with a mission “to protect threatened communities, cultures, and wild places throughout the world for their cultural, habitat, and recreational value.” The organization was recently accepted into 1% For The Planet, which connects for-profit companies committed to donating one percent of their revenue to a non-profit 1% For The Planet member organization. 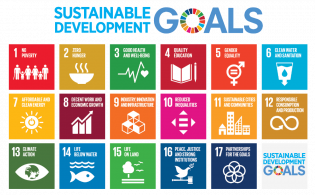 The project locations for 2017 nominations are Mexico, Chile, Uganda, Ecuador, Cameroon, Ireland, Nepal, Morocco, Peru, Kenya, Nicaragua, Costa Rica, Indonesia, Colombia, and Papua New Guinea. The adventure travel industry has served as a leader in preservation and conservation, but there is clearly a lot more work to be done. 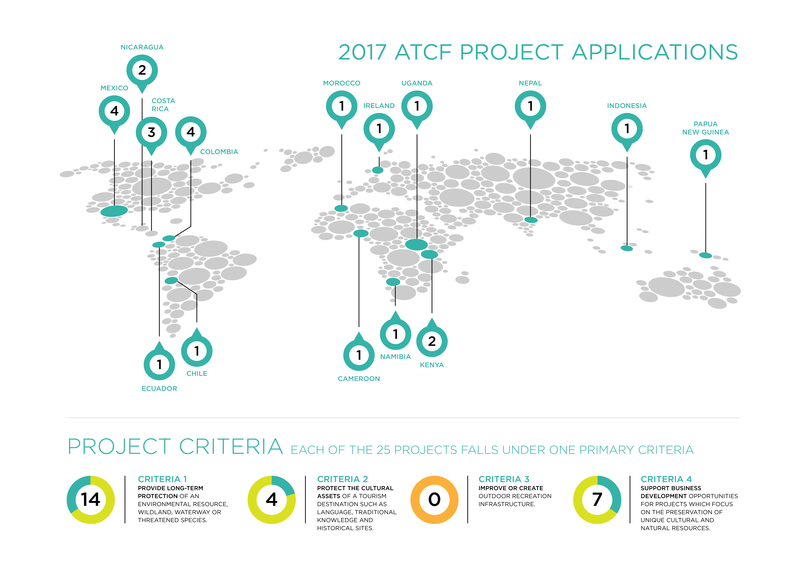 The level of project funding for the selected projects will be directly correlated to the number of members of the ATCF. As of 28 July 2017, 52 companies were members, but the ATCF is actively seeking more members. These members financially support the funding of projects and will vote on the final projects in the last quarter of 2017. If your company isn’t yet a member of the ATCF, joining will give your team a spot at the table when deciding which projects have the opportunity to make the biggest positive impact on the environment, within local communities, and throughout the destinations in which adventure travel thrives.